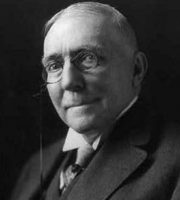 James Whitcomb Riley was an american poet. His poems fairly humorous or sentimental, and of the roughly one thousand poems that Riley authored, The majority are in dialect. His famous poems are "Little Orphant Annie" and "The Raggedy Man". Riley became a bestselling poet in the 1890s. As a poet, he achieved an unusual stage of fame throughout his own lifetime.